Microsoft wants developers to use Bing Maps on the iPhone and iPad their application. To that end, Microsoft is providing a special device to help developers. Reported by Business Insider, Friday (6/5/2011), Bing has had an application IOS since 2009. And earlier this year, Microsoft released its first Office application for the iPhone. Rovio, Angry Birds popular game developer plans to do Innitial Public Offering (IPO) or its first stock offering in three or four more years. "Very likely we are listed on the stock market in three or four years. But we are not in a hurry," said Chief Marketing Officer of Rovio, Peter Vesterbacka. However, as reported by Reuters on Tuesday (05/10/2011), Vesterbacka not mention where the IPO would take place later. "We can realize all our plans without the stock list. But the stock is still a way more meaningful than the other way, for example by selling the company," he added. This Finnish company hopes within three years could become the world's leading entertainment brands. Currently, the Rovio has opened new offices in China and will consider also established offices in Japan and the United States. Vesterbacka estimated sales value of Rovio in 2011 ranged between EUR 69.85 - EUR 139.7 million, up from 6.5 million the previous year. News Microsoft's acquisition of Skype by eventually proven true. Brilliant idea for the IT giant owned by Bill Gates. Imagine hundreds of millions of Skype users market will be withdrawn in the Microsoft ecosystem and presented in it. For information, last year have connected the 124 million Skype users each month. But 8.1 million of whom are paying customers. As quoted from GigaOM, Wednesday (05/11/2011), Microsoft will prioritize all of its software and hardware with new features and the addition of Skype. Simultaneously, the Redmond-based company also announced the good news. Microsoft announced plans to bring the Skype on the Xbox and Kinect, Windows Phone 7 (WP7), and several other Windows devices. Not only that Microsoft was going to integrate their community services such as: Lync, Outlook, and Messenger. So if Skype would have 'monopolized' Microsoft? Apparently not. Microsoft gave the note will continue to invest and support for the Skype client non-Microsoft platforms. With the acquisition valued at USD 8.5 billion (around Rp 72 trillion), the Skype business will become a new division in Microsoft. The CEO of Skype boss Tony Bates was appointed the new division with the position of President of Microsoft's Skype division, and will report directly to CEO Steve Ballmer. 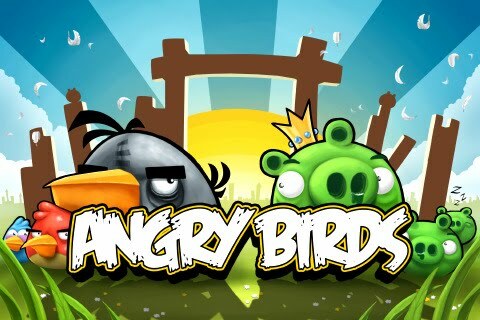 The popularity of the game Angry Birds finally made ​​Research In Motion (RIM) smitten. Manufacturer BlackBerry smartphone is sure will bring Angry Birds to their tablet PCs, BlackBerry Playbook. Certainty is expressed RIM co-CEO Mike Lazaridis in carpet BlackBerry World 2011, held in Orlando, United States. "The news has just announced great! Angry Birds will come to the BlackBerry Playbook!" wrote the official Twitter account a BlackBerry, not long ago. Unfortunately, it is not certain when the official date Angry Birds flying in the Playbook. But according to rumors, about this summer. Angry Birds which is a game made ​​by Rovio is indeed the middle reach popularity. Excerpted from Digital Trends, Wednesday (05/04/2011), this game is incised 140 million copies downloaded. Microsoft alone has created fascinated by Angry Birds, and has ensured that the birds that fly with slingshots is going to land on Windows Phone 7. Then how about a BlackBerry smartphone? Is the future will bring RIM smartphone Angry Birds to champion it? Unfortunately, Lazaridis has not mentioned it at all, but certainly an opportunity for it still exists. 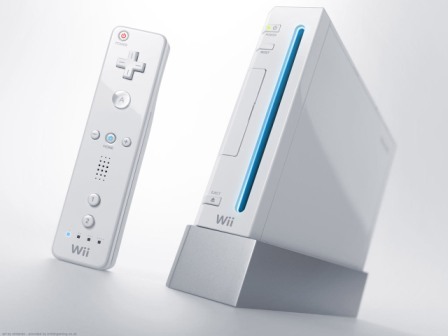 Successor of Nintendo Wii game console is rumored to not have a hard drive for storing media, but only use flash memory capacity of 8GB. Really? Quoted from Kotaku, on Wednesday (04/05/2011), a source who did not want to be named claimed that the 'Project Cafe' will only use flash memory to 8GB. Very little indeed, when compared with other consoles that have reached hundreds GigaByte. And if true demikia, then the predicted Nintento will not provide much content that can be downloaded. 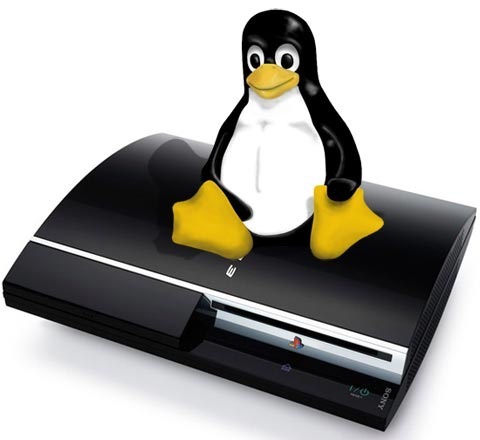 Through the latest firmware Sony has 'killed' before Linux is on the PlayStation 3 (PS3). But now a group of hackers managed to restore the operating system. GeoHot may be the first hacker who managed to break into the PS3, but some other hackers is equally great. Call it Chokolo Graf who has made ​​a special firmware so that users can install any application desired. Well, now there is a group of hackers who take shelter in gitbrew.org admitted managed to create firmware for gamers can re-use Linux on the PS3. "After installing this particular firmware, you must use some tools that are available in GameOS for booloader can work well. After that can install Linux," wrote Youness Alaoui, one of the hackers, quoted from VGN365, Wednesday (04/05/2011). Users who feel aggrieved by the destruction of services demanded Sony PlayStation Network (PSN). No training while also satisfying-training while also satisfying, they sued the electronics giant's $ 1 billion, equivalent to Rp 8.5 trillion. 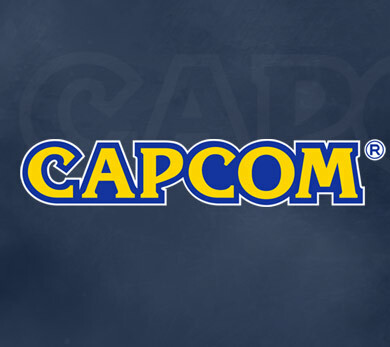 The lawsuit is not the first time addressed to Sony. Previously, a user named Kristopher Johns proposed class action to claim damages for the theft of data on PSN. "We believe that the security system through the fault of Sony's PSN is negligent in maintaining the security of data, incapable of maintaining firewalls, and users do not encrypt data," said Johns. Now a lawsuit kind of pushed back. This time it came from a Canadian legal institutions, McPhadden Samac Tuovi LLP, led by Natasha Maksimovic. As quoted from GameSpot, Wednesday 94/5/2011). In a lawsuit aimed at Sony Canada, America and Japan that, Maksimovic describes his disappointment over a number of data pribadiyang digasak hackers. "If a company the size of Sony just was not to be trusted to keep the data, who else can be trusted? It was clear to me that Sony is more concerned with product rather than the user data security," wrote Maksimovic. In Canada, there are about 1 million PlayStation 3 gamers who feel cheated data. Well, the value of the proposed compensation was considered a reasonable value for the 'cure' their losses. 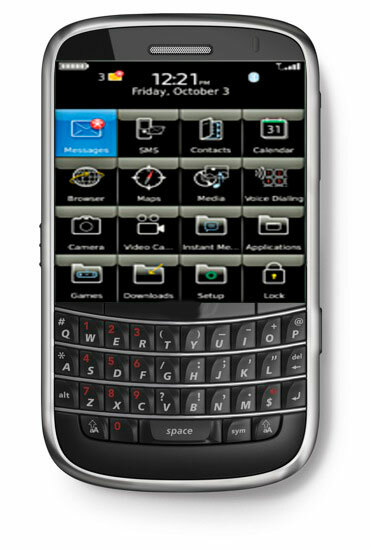 Although shaped like Bold 9000, but the BlackBerry Bold 9900/9930 Touch has the ability which is far above its predecessor's. 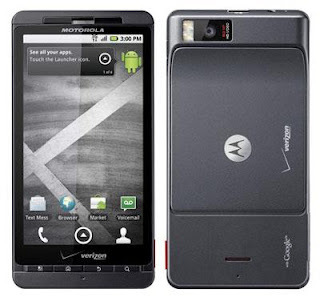 Research In Motion (RIM) also promises great performance behind the slim design of this smartphone. Strong performance of these devices can directly feel when seeing 1.2 GHz processor embedded in it. With strength like that, no doubt the computing process that is managed Bold 9900 will qualified. Turning to the operating system that already carry the BlackBerry OS 7. According to RIM, this is an OS that is specifically designed for the platform Bold. Performance is also claimed to be running faster and easier for users to browse affairs, and perform personal and corporate activity. In terms of design, Bold 9900 appear quite elegant. RIM embedded material for this product is said to use premium materials that reflect family line Bold. Mike Lazaridis, President and Co-CEO of RIM said the Bold 9900 is born of inspiration derived from millions of users around the world who want a device that combines performance, functionality and design. "This smartphone is fully equipped with the beauty of offering to the user experience as well as smooth and fast performance. Touch screen is also brilliant and has an amazing ability to type,"said Lazaridis, RIM's in an official statement on Tuesday (03/05/2011). Bold 9900 BlackBerry touted as the thinnest available today. Devices that glance similar to the original version of the Bold (9000 series) which was launched in 2008 and has a level of 10.5 mm thinness. This device would have made ​​two versions, series 9900 for GSM and the Bold 9930 series to CDMA segment. Luxurious residence of Osama bin Laden was estimated worth $ 1 million. But inside, it turns out there is absolutely no communication devices. No internet or phone. Fears Osama in this technology even lead to death. Speculation over the years say that the leadership of Al Qaeda were living in environments with harsh conditions. But apparently he chose to stay in a mansion located in the town of Abbottabad, Pakistan. Osama did not install the telephone or Internet service at his residence. According to the United States, he was afraid that if the device that makes it detectable via electronic intercepts. But that's precisely because of fear, Osama's whereabouts tracked. Therefore, the absence of basic communication device in a mansion is apparently raises its own suspicions of the U.S. military. An internal source says, is so unusual if there is property worth $ 1 million, but no phone or internet there. "Intelligence analysts concluded this place is deliberately built to hide someone important," he said, quoted by Reuters on Tuesday (05/03/2011). Intelligence was convinced this man was Osama bin Laden, after analyzing the clues of other clues. Through the NGA satellite, can be cooked up what they like Osama hiding details of buildings. While the NSA is responsible to track and monitor communications around the world to hunt down Osama. In the end, their efforts succeeded. Osama bin Laden has been declared dead by the U.S. government. A report mentions, in up the middle circulating that claimed the video link showing the death of Osama bin Laden. Be careful, this is a trap. By clicking it, users will be taken to a Facebook page that encourages them to click on 'like' and 'share' an Osama video link with all your friends up. However, after clicking it, users do not get the video as promised, but only help the scammers to spread this link to all Facebook users. Users instead have to follow a series of surveys to be completed before moving to the next step. Security firm Sophos is reporting this scam mentioned, scammers will get money every time a user has finished completing the survey. That's why, they want users who are victims share this video link to as many people. 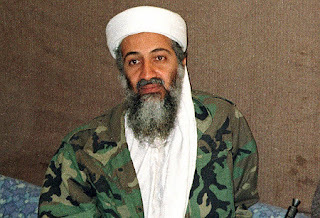 "Computer users should be wary of scams related to the coverage of Osama Bin Laden. 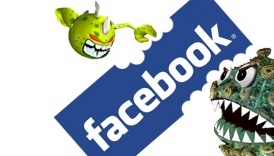 Not only in the up but other Internet media as well," tells of Naked Sophos Security was quoted as saying on Tuesday (03/05/2011). 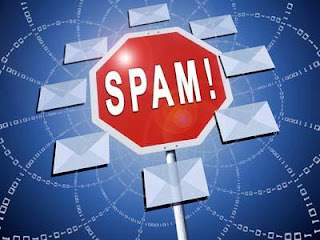 Added Sophos, a proclamation that was splashy and searched a lot of people are often didomplengi spammers or hackers to threaten the security of Internet users. 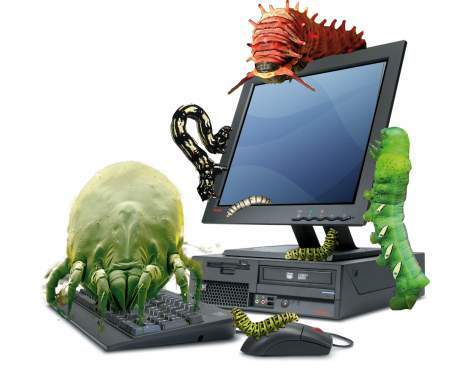 News the death of Osama bin Laden was also exploited by malware spreaders. The trick is to spread the good news with a brief and phishing scams to satisfy the curiosity of the user, provide a weblink which can be accessed for viewing photos or video footage of Osama's death. Based on release received on Tuesday (05/03/2011), ThreatSense ESET as a major force that has Advanced Heuristics Engine quickly capture and identify the malware. ESET Research Laboratory has successfully parse malicious code malware which is a variant of malware that already exists and has been able to be identified by ESET. Malware evil who also appear together with the British royal wedding event Royal Wedding, identified by the ESET. Threat Sense as Win32/Adware.XPAntiSpyware.AB. 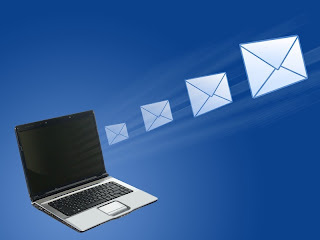 Related to this Technical Consultant ESET convey the presence of malware and phishing scams by the advantage of a person because of extraordinary hysteria in addressing the particular event. 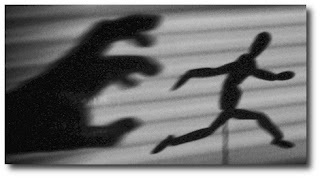 The situation that is then used by perpetrators of cybercrime to upgrade and develop new variants, and then pass it on. Citizens of the world today is probably related curious middle obituaries Osama bin Laden. But beware, this phenomenon would be exploited by spammers to make explosion junk messages to lure news of the death of the leader of Al Qaeda's terrorist network. In fact, according to Symantec's SMB director Steve Martin, posts spam about Osama's death could break the 100 million emails within 24 hours. 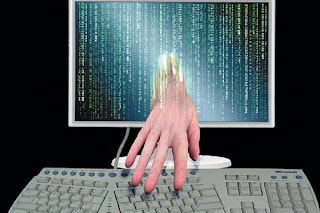 "Every time when there are events that world attention would be utilized scammers," says Steve, quoted from Secure Computing, Monday (05/02/2011). Internet users are advised to not easily deluded by flattery phenomenal news about Osama, even if they feel so interested. We recommend that you see news sites that have been more clear is the origin of the news. "Do not click the link that is not clear who the sender, it's better to go to news sites," Steve continued. Because, click on any site is a dangerous action, where the users do not know what its target site. Can be stored in a site that opened a malicious program that is ready to attack. Invasion of junk messages like this was said to occur when Prince William and Kate Middleton get engaged. At that time, invasion of spam craze with the lure of false news about the wedding prospective heir to the throne of the British Empire. "And probably we will see this incident (attack spam-​​ed.) anymore,"said Paul Ducklin, chief technical officer of Sophos. These days, Twitter is often a first media in preaching an event, sometimes even faster than the news media. And Osama bin Laden's ambush incident did not escape the phenomenon. A computer programmer named Sohaib Athar, rumored as the first to preach the ambush bin Laden in Pakistan. He happened to live near the scene and post details the raid from his Twitter account. Quoted from the Canadian Press on Monday (02/05/2011), Athar initially surprised by the roar of the helicopter sound in the city of Abbottabad, Bin Laden's hideout. He also started to post this event on Twitter. "The helicopter was on the Abbotabad at 1am (this is a rare event),"the first tweet sound more or less, to publicize the event firsthand. Athar had just moved to Abbottabad along with his wife and son. No warning, he instead became a witness arrest bin Laden. He continues to post, for example, when hearing the bomb explode. Athar himself did not know what he heard was the arrest of Osama bin Laden's operation, so that he could only guess. In the next tweet, he thinks there are military exercises and a helicopter accident. "I think there is a helicopter crash in Abbotabad, Pakistan and President Obama's breaking news related to the incident," he wrote again. After posting about 35 tweets, Althar finally got the information that what was reported ambush bin Laden. "Osama bin Laden was killed in Abbottabad, Pakistan," he reported. Coverage of the death of Osama bin Laden also did not escape the attention of Google Maps. Google's mapping service shows the location of Osama's death. Key people behind the tragedy of the World Trade Centre 11 September 2001 is reported to have died earlier today, Monday (02/05/2011). Osama killed in military operation planned by United States military (U.S.). Excerpted from Mashable, the military operation that targeted bin Laden took place in Abbottabad, a city located in 75 miles north of the Pakistani capital, Islamabad. Cities where bin Laden is dead in the valley Orash. This place became the center of tourism. In the image area, some of which shows there are educational institutions and natural beauty. The crowd that gathered in various places across the U.S., celebrating this news. Many of them who are users of Google Maps and Google Places post 'reviews' to the Places page to express their joy. Noted there are more than 200 reviews that are posted and the number is predicted to continue to grow. 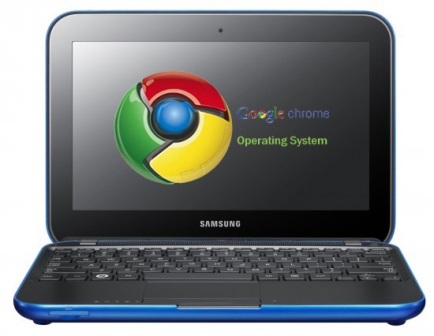 The first netbook with Google Chrome the operating system reportedly would soon be released by Google. Working closely with Samsung, netbook is code-named Alex. Netbook Alex is a commercial version of the Cr-48 trial. Given some of the specifications, seem netbook does not disappoint. Pocket Link As reported on Monday (5/2/2011), Alex will be shipped with a dual-core 1.5GHz Intel Atom N550. Other specifications like RAM is 2GB, and a screen resolution of 1280x800. In addition to having Bluetooth and Wi Fi connectivity, Alex also has a feature 3G. It's so special requirements because the device is Chrome the OS will rely heavily on the Internet related to the number of features and online-based data storage cloud. Samsung Alex is expected to be introduced around June 2011. In addition to Samsung, Google also partnered with various other vendors to produce netbooks Chrome, such as Asus, Lenovo and Hewlett Packard. About 2 billion pairs of eyes staring at the television screen is expected to witness the grand wedding of Prince William and Kate Middleton. Excitement also occurred at sites where the Twitter microblogging tweeps many post about the wedding. Yes, on the wedding day which took place on Friday (29 / 4) yesterday, the topic of the Royal Wedding abundant on Twitter. Even as the ceremony began in England, 10 Twitter trending topic related to the Royal Wedding. 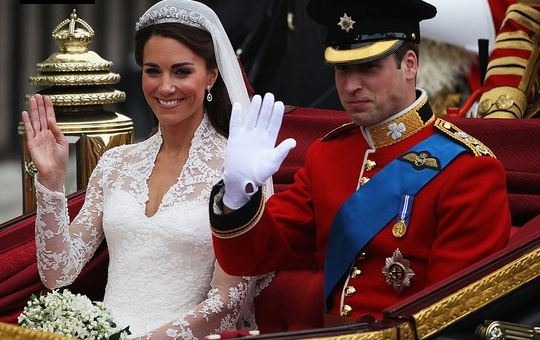 Royal Wedding, marriage between Prince William and Kate Middleton in the Internet era. No wonder so many people follow events such grandiose global via the virtual world and make the Royal Wedding as the largest Internet event in history-6. The data were derived from Akamai Technologies Inc., the Internet hosting company. They explained that the page views or access the internet page of the Royal Wedding news sites reached 5.4 million per minute. This figure is still quite a distance when compared to events that most unnecessary attention Netter, namely the 2010 World Cup. Noted, the world's biggest soccer event that attracted about 10.4 million page views per minute. Hacker breaker PS3, GeoHot, consider an attack on the Playstation Network (PSN) is caused by Sony's arrogance. American-born man was also compared with other cases such as Microsoft and Apple. 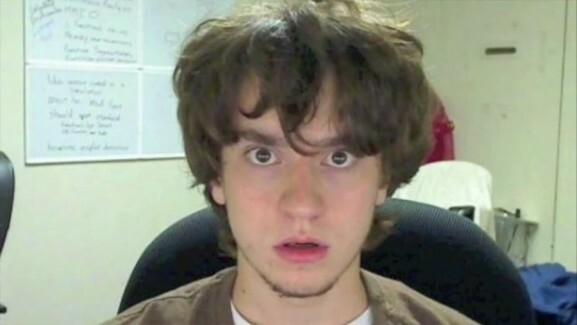 GeoHot name became famous since he managed to break into the iPhone in 2009 ago. His reputation also becoming flying after he found a way to jailbreak the PlayStation 3. Feeling annoyed that their products 'diobok meddle', Sony directly dragged GeoHot to trial. Did not take long, Japanese electronics giant managed to keep 22-year-old man from the PS3. Not only GeoHot, other hackers also managed to be dragged by the action mempermulus PS3 burglary. Seeing the incident, would not be surprised if there is a rumor that was involved with the attack GeoHot PlayStation Network (PSN). But it was denied, even by GeoHot break-ins caused by the vanity Sony's PSN. "Pride and misunderstandings property into the cause of the attack. 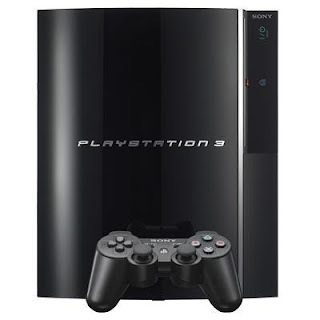 Sony should no longer control the PS3 after he sold it to you," wrote GeoHot on his blog on Friday (29/04/2011). GeHot also compared the jailbreak case in other gadgets are like the iPhone and Xbox 360. 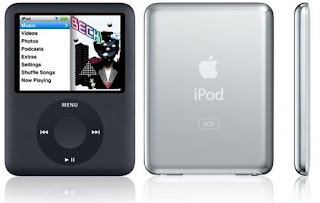 The owners of these devices - Apple & Microsoft - do not act as far as Sony, so there is no attack on iTunes or Xbox Live. For the enthusiast-kebutan racing game, it's no longer going to be able to try out Need for Speed ​​(NFS), latest edition. 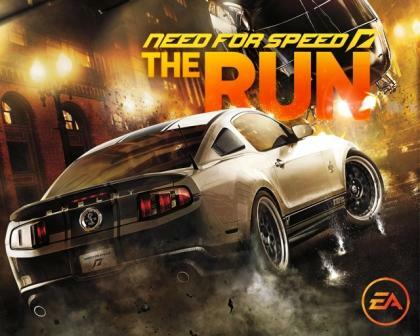 Need for Speed​​: The Run is ready to step on the gas adrenaline gamers. The game's publisher, Electronics Arts (EA) have confirmed that Need for Speed​​: The Run will pitch in 2011. Precisely on November 15 for North American market and 17 November for the European sphere. Excerpted from Digital Trends, Sunday (05/01/2011), Need for Speed​​: The Run will be speeding on the platforms Xbox 360, PlayStation 3, Nintendo Wii, 3DS, and PC. As the name implies, this game is about an escape across the various states in the United States. So when playing this game later, gamers sejumah be visited famous cities in the land of Uncle Sam, starting from San Francisco start and finish in New York. It's just to get to the finish line will not be easily granted. Because, the hero must defeat the other street racers and escape from the raid the authorities.